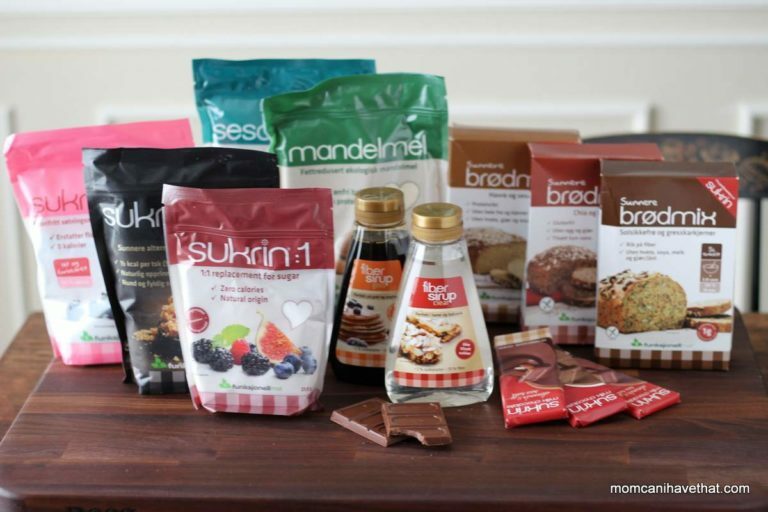 Sukrin makes a range of non-GMO low-carb, zero calorie sweeteners, whole food flours, sugar-free and gluten-free bread mixes, and the most delectable sugar-free milk chocolates. I AM ABSOLUTELY THRILLED to do this post detailing a new low carb product line now available in the United States called Sukrin. 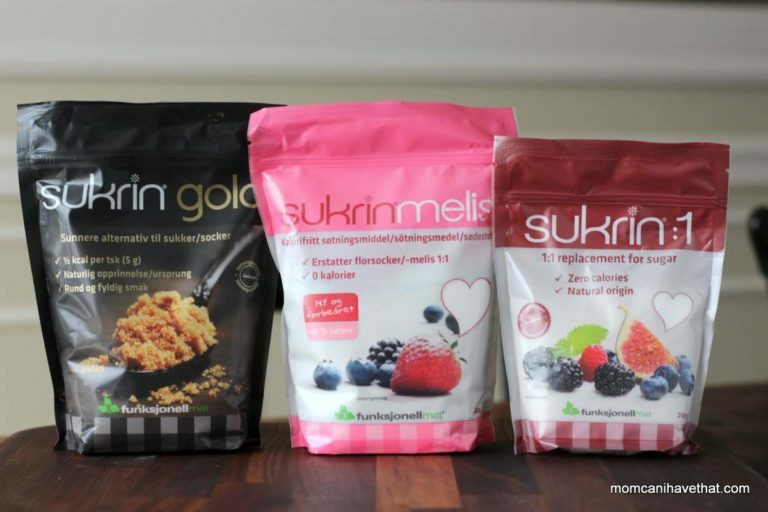 Sukrin products are made in Norway by Funksjonell Mat (Functional Foods). They originate from natural, NON-GMO food and are certified gluten-free. Sukrin is popular in Skandinavia and the UK and it’s products are rapidly spreading throughout Europe becoming the low carb product of choice for many Low Carbers, Diabetics and those in the Paleo and Keto communities. Luckily, we in the U.S. now have access to these popular products thanks to Sukrin USA. Before I begin introducing the products, I’d like to introduce you to the woman behind Sukrin USA. I’d like to introduce you to Pernille, a nutritionist, who found herself living in Scandinavia for a year. She has a strong interest in LCHF and sugar-free living and fell in love with the Sukrin products while abroad. Upon returning to the U.S., she found that ordering her favorite Sukrin products was not only costly but it took took weeks for them to arrive. Pernille believed in the products so strongly that she petitioned the company for distribution rights, thus SukrinUSA was born. 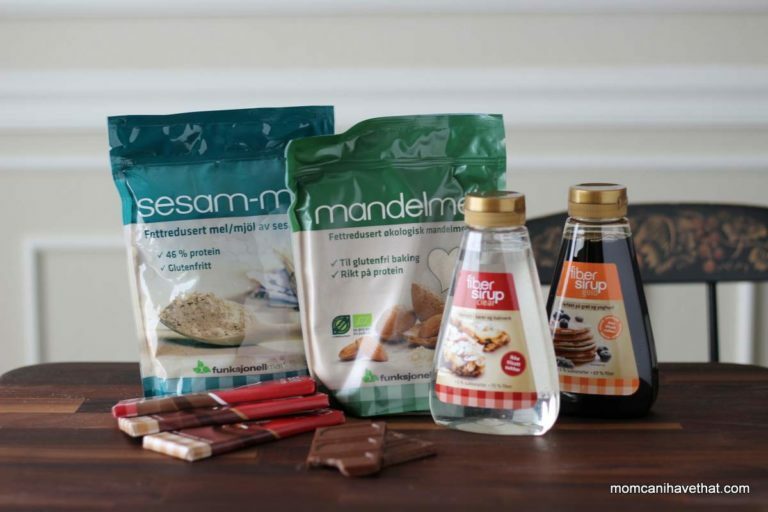 We can thank Pernille for the availability of these great new low-carb products at more reasonable prices and reduced waiting time. Yes! Pernille contacted me and asked me if I would try her products if she sent me a sample. I LOVE trying new products and of course said YES. Wasn’t I surprised to receive her sample two days later! She graciously sent me 14 full sized products! I’d like to take a little time today to introduce you to the products. And, as I use them, I will write detailed posts reviewing my thoughts about them. Just so we’re clear, I am not being paid for these posts, but I was gifted the products and my conscience compels me to do a good job in testing the products and providing my honest feedback. They are very low in carbs (1 net carb per slice), low in fat, and European certified as gluten-free. They are also free of soy and dairy products, but contain eggs. 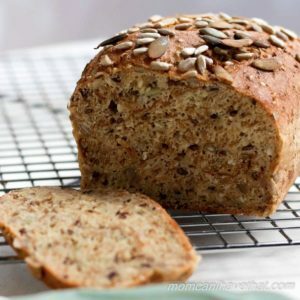 The Chia & Hemp bread as well as the Sunflower/Pumpkin Seed bread contain fiber in the form of resistant cornstarch. They are super easy to prepare – just add water or milk! The blue and green packages contain de-fatted Sesame Seed Flour and de-fatted Almond Flour, respectively. The seeds and nuts have been cold pressed and are not heated during processing in order to conserve nutrition. Sesame Flour (defatted) – This product boasts 45% protein per serving. The nutritional values are as follows per 1/4 cup (28 grams): Calories 110, Fat 5 g, Carbs 6 g, Fiber 4 g, Protein 13 g. That calculates to 2 net carbs per serving! Almond Flour (defatted) – This product boasts that it’s great for baking and high in protein. The nutritional values are as follows per 1/4 cup (28 grams): Calories 90, Fat 3 g, Carbs 7 g, Fiber 6 g. That calculates to 1 net carb per serving! Sukrin Gold – Made primarily from erythritol, Sukrin Gold also contains tagatose (a sugar found in milk that doesn’t affect blood glucose), glycerol (a viscous sugar alcohol that doesn’t affect blood glucose), gluten-free malt extract, and stevia. This product has been greatly anticipated and is expected to behave very much like brown sugar in baking. Another very much anticipated product from Sukrin are these Fiber Sirups. We expect them to behave similarly to honey or corn syrup in that they have the ability to bind ingredients together in a way that our traditional natural sugar-free sugar alternatives did not. 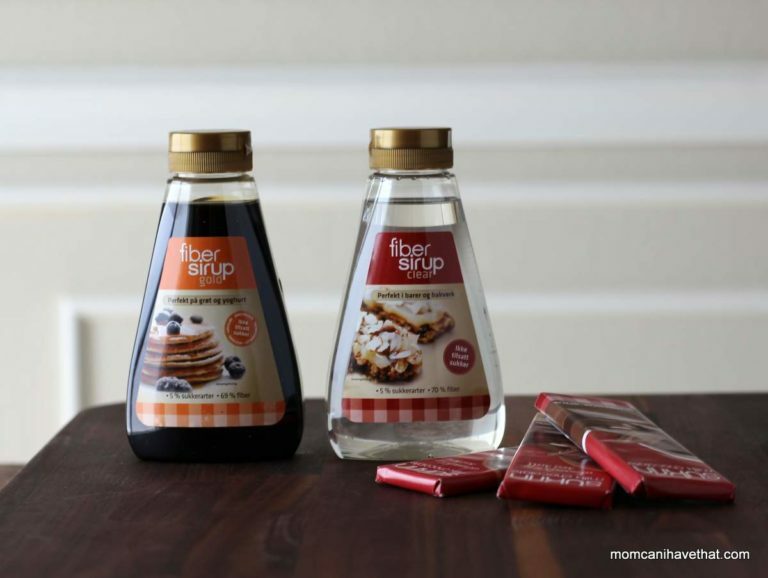 Fiber Sirup Gold – a molasses flavored syrup that reminds me of dark Karo Syrup. It is made of isomaltooligosaccharides (prebiotic fiber), gluten-free malt extract, and stevia. Fiber Sirup Clear – a pure lightly sweet tasting syrup (60% as sweet as sugar) very much like light Karo Syrup. It is made from isomaltooligosaccharides (prebiotic fiber). 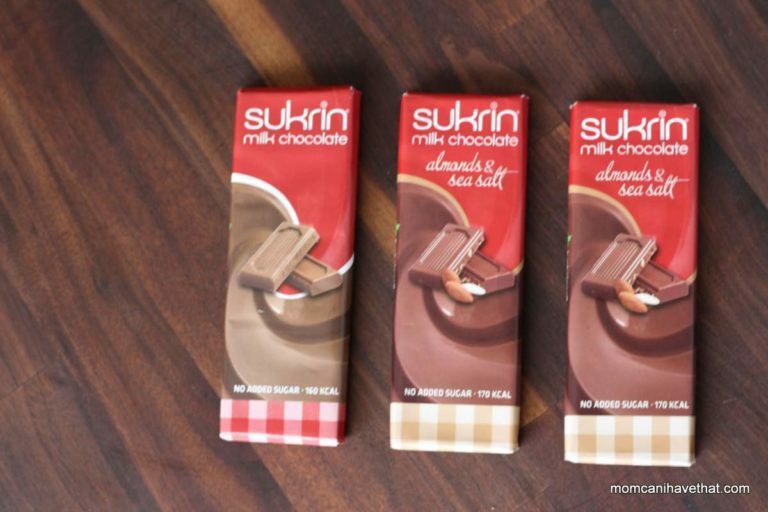 Now, we arrive at my favorite product, The Sukrin’s chocolate bars. I was sent four. Yes, there is one missing. My family shared one of them and we really enjoyed it. The cooling effect from the erythritol was detectable but slight – not enough to annoy those who are sensitive to the cooling sensation. As I said, I’m thrilled to have these new products and look forward to reviewing each one as I use them, so stay tuned! 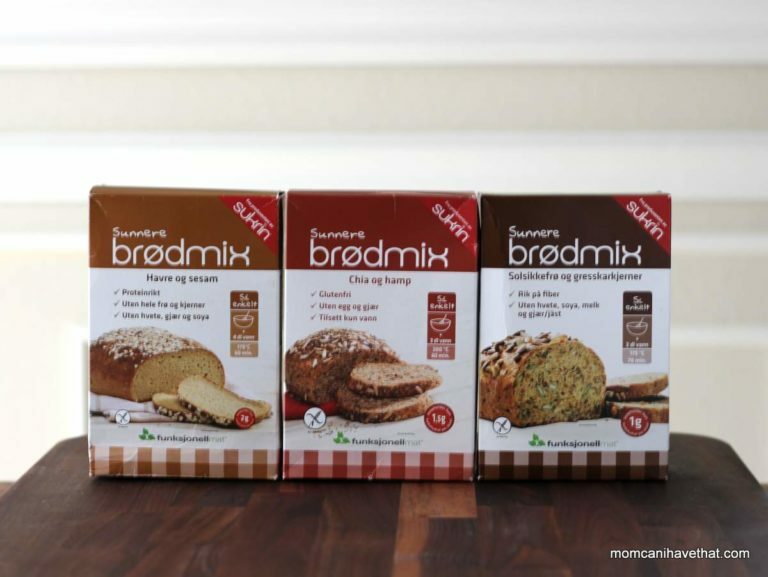 CHECK OUT the breads I have made with the Sukrin Bread mixes and read the reviews! Diabetics, please check the one-star reviews on Amazon on this product. It’s spikes blood sugar terribly. Diabetics and kito’s definitely should not use. They also should not use Fiber yum for the same reason. does sukrin have that horrible menthol aftertaste like erythritol? Hi Susan. That’s a good question. It does have a cooling effect, but not a menthol aftertaste. Both Sukrin and Swerve have erythritol as a main ingredient, however, Swerve has a sweet fiber added to make it a 1:1 replacement with sugar and Sukrin uses Erythritol. Swerve leaves a burning at the back of my throat and the Sukrin does not. Sukrin has a new sweetener called Tagatesse that has no cooling effect and is twice as sweet as sugar. It is very nice. They have a chocolate hazelnut spread, raspberry jam, and hazelnut chocolate bar that are all wonderful. I have tried them all. This new sweetener does have some calories because it is partially digested in the body while erythritol is not broken down at all and leave the body chemically intact. Yes, the syrups… Thanks for the reply. I’m excited to try your caramel sauce recipe, but wanted to know more about the sukrin product before buying. Thanks! Hi Kim, I tried to make a comment on your last ‘tomato’ blog but couldn’t get through, so I’ll try again. Although I don’t need to worry about carbs (maybe I should!) I like the looks of those chocolate bars! And the bread mixes look interesting. Where can you buy them in San Diego? My husband and I and doing Keto diet. I watched a lady’s low carb peanut butter cookie video and she used the Sukrin Brown Sugar. I saw you mentioned fiber syrup might be able to knock people out of ketosis. Do you know whether the other Sukrin products (bread mix, brown sugar, etc) have this kind of effect? Thanks!! I’m super excited about trying out, but want to make sure! It also depends on how active you are. It’s not cut and dried. I am a couch sloth since starting the blog. I will not eat more than 1 tablespoon of the Fiber Syrups in a day because they have 15 grams of fiber (still a carb). 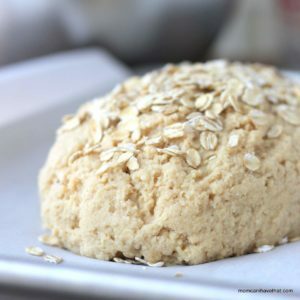 For that matter, I do not eat a lot of the other ingredients I have listed above (psyllium, resistant starches, oat fiber, konjac, flax…) because they have tons of fiber per serving, too. Here is MY POINT: The Sukrin Fiber Syrup will not knock you out of ketosis unless you start using several tablespoons of it a day BUT it depends on your own body chemistry and how active you are. The Sukrin breads are wonderful! My favorite is the Sunflower Pumpkin Seed Bread Mix. I did a review of it. But the same thing applies. They are full of nuts, seeds and psyllium to help bulk them up and give them their great texture. I personally wouldn’t eat more than 1 serving a day – couch sloth – but if I were active you can bet I would be enjoying a sandwich a few times a week.